The Melismatics have a soft spot in their hearts for St. Joseph, MO. Being from Minnesota it isn’t exactly a short trip down to Missouri but the band still makes a few appearances a year at the Rendezvous. It is a great treat that the energetic band comes around so often. The band is getting ready to release their long-awaited second full length album, Mania! on January 10th, 2012. The show contained a mixture of upcoming material from the record as well as a heavy dose of their other album The Acid Test along with other originals and some covers. The Acid Test is a shining example of punk-pop and Mania! looks to be no different. The show began a few minutes before 11:00 but the late start time wouldn’t lead to a shortened set as the Melismatics tore through their catalog of songs without a break until 12:40 for one of the longest small bar shows I have ever seen. Their songs are made better live than on record. Their energy on stage adds so much to the songs that is almost impossible to capture in the studio. Songs like “Industry of Cool” “Modern Machine” and the sing-along favorite “The Stranger” really come to life on stage. It’s always great to have such a talented band wanting to come to as small of market as St. Joseph. Hopefully Melismatics will return in January to let the locals pick up a copy of Mania! in person. 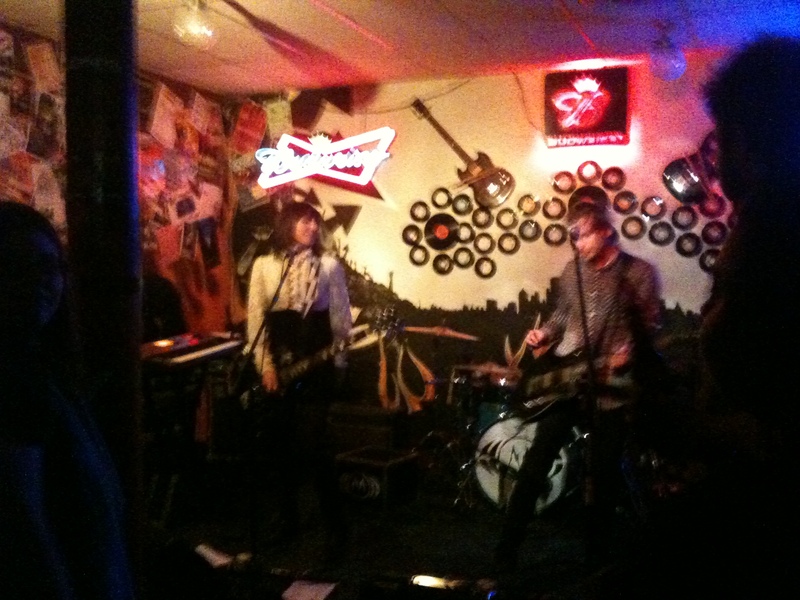 This entry was posted in Concert Review and tagged concert review, covers, Mania!, Melismatics, MO, new record, Replacements, Saint Joseph, St. Joe, St. Joseph, The Acid Test, The Darkness. Bookmark the permalink.